When you are stressed, tired, or unmotivated, sometimes music is the best medicine. 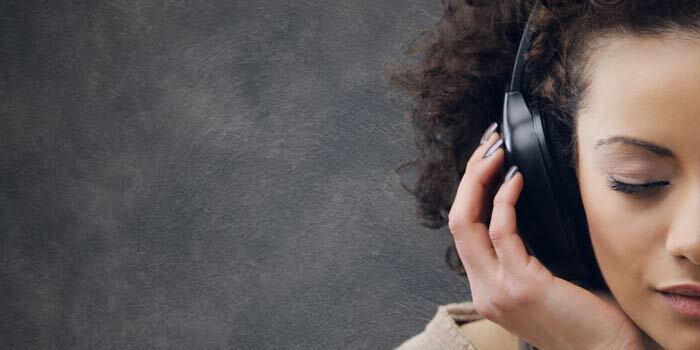 Whether you're dancing in your car, pretending that the tunes flowing through your earbuds are the soundtrack to your life, or just humming along to the song that's stuck in your head, music can make all of the difference during a hectic shift. So next time you need some rhythmic release, add one of these songs to your playlist. Nothing puts some pep in your step at the beginning of a shift like 70's pop music and singing in falsetto. The beat of the song also happens to match up with the recommended rhythm for performing chest compressions during CPR. Need a boost while you're scrubbing in? Why not clean up along to a song that is literally about being so fresh and so clean. When work gets tough, there's nothing wrong with asking for a little help from your co-workers. There's also nothing wrong with blowing off some steam and bopping your head along to the sounds of British pop stars who remain surprisingly upbeat even in times of distress. Just like Gloria Gaynor survived a terrible break-up, you too will survive this day. Channel her strength and power through the tough spots. It's always good to have a second dose of girl power in your arsenal when you're working a long shift, and no one brings it like Beyonce. Sometimes, no matter how kind, understanding and patient you are, people just won't listen to you. After calmly dealing with a difficult patient, release a little tension with some good ole' rock and roll. Jack White understands your frustration. After a long day on the job, sometimes a little catharsis can be a good thing. Turn on the soft piano rock, have a good cry, then go back to pretending that you didn't love this song when it was first released in 2005.